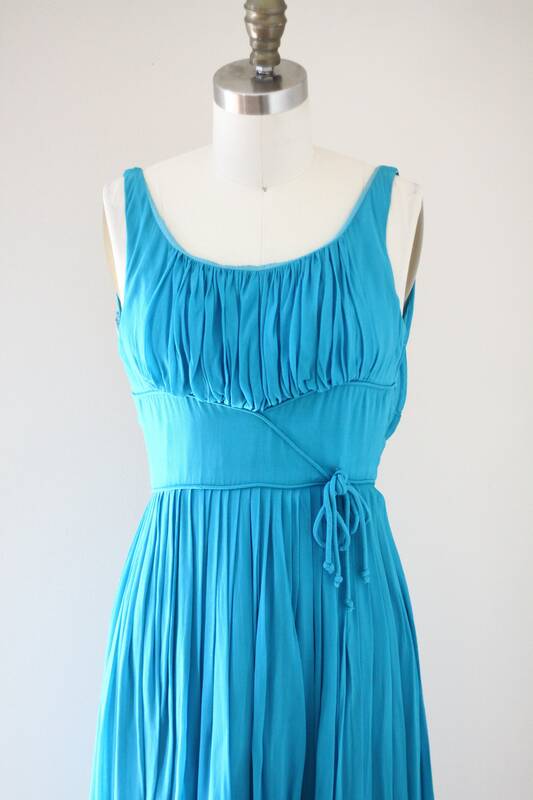 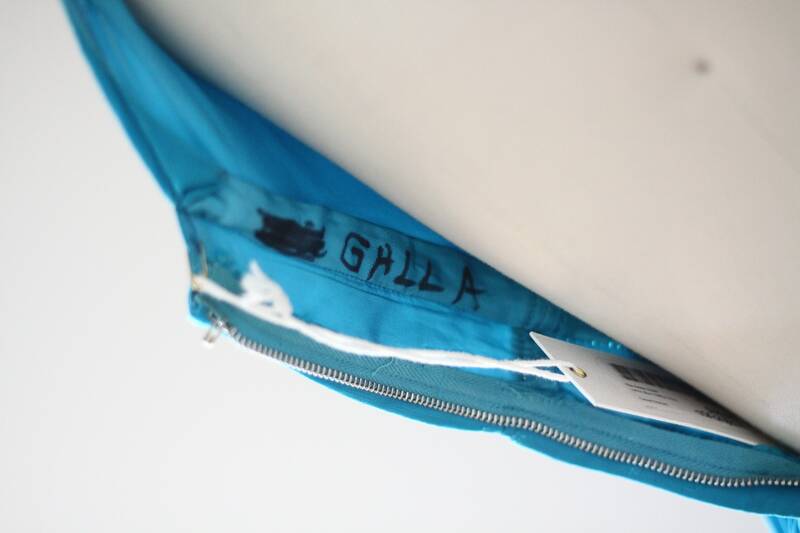 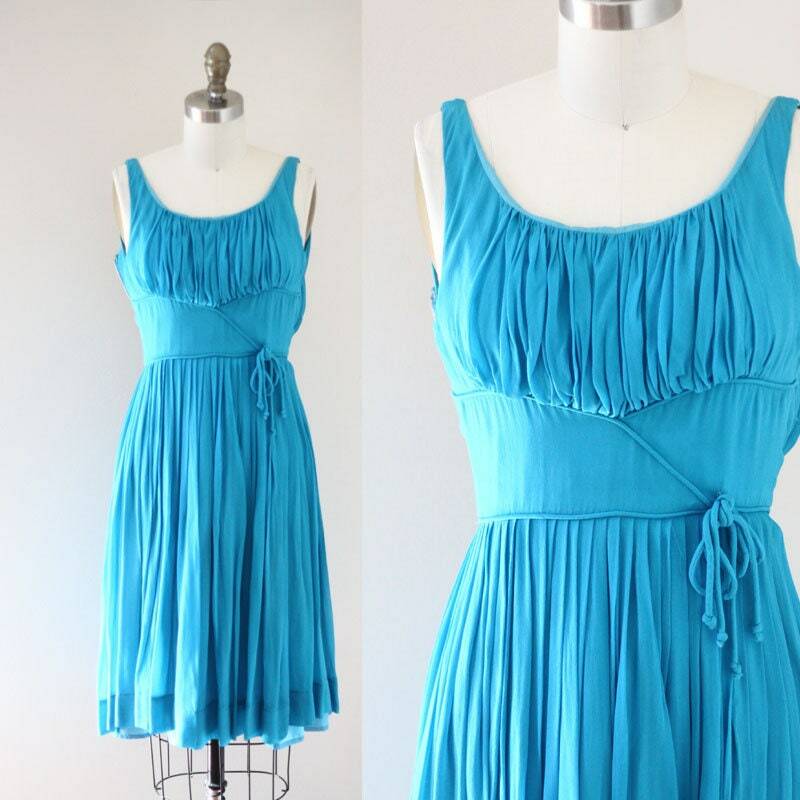 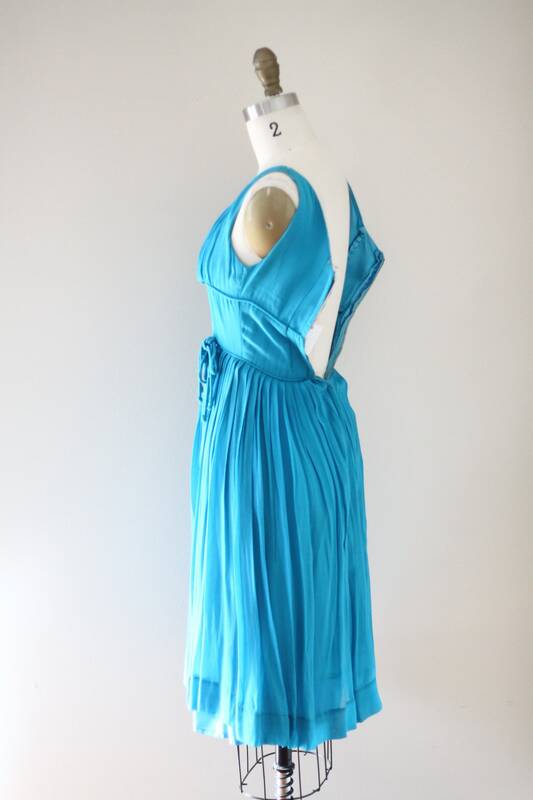 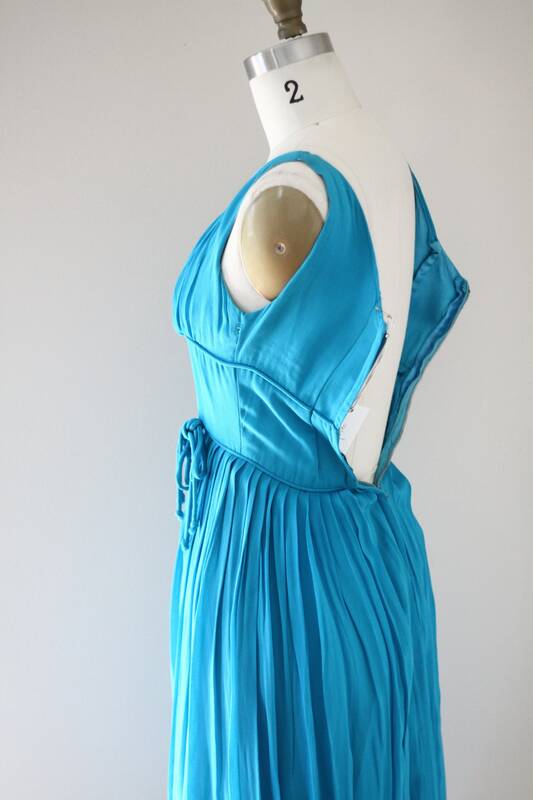 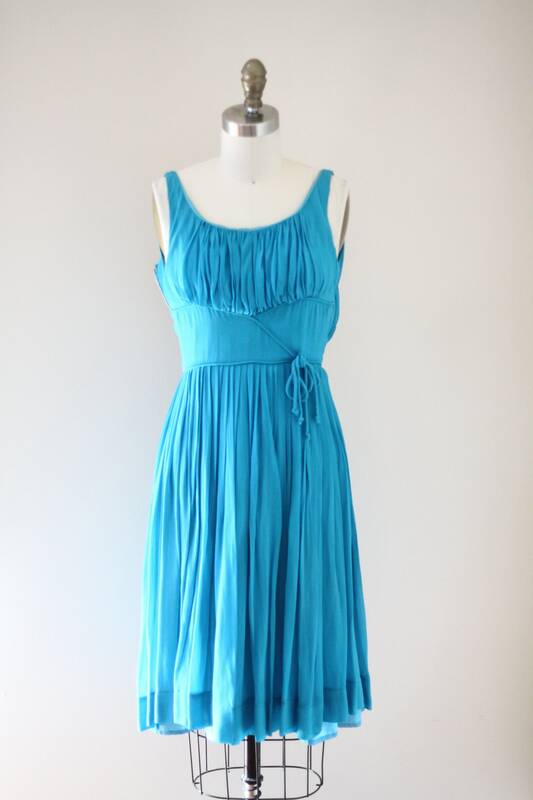 Beautiful bright blue soft chiffon dress from the 1960s. 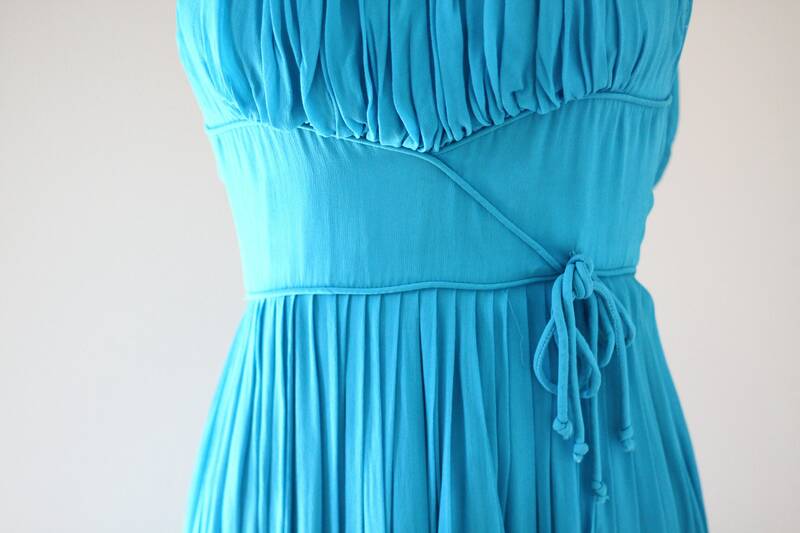 Large defined waist band and a fabric bow. 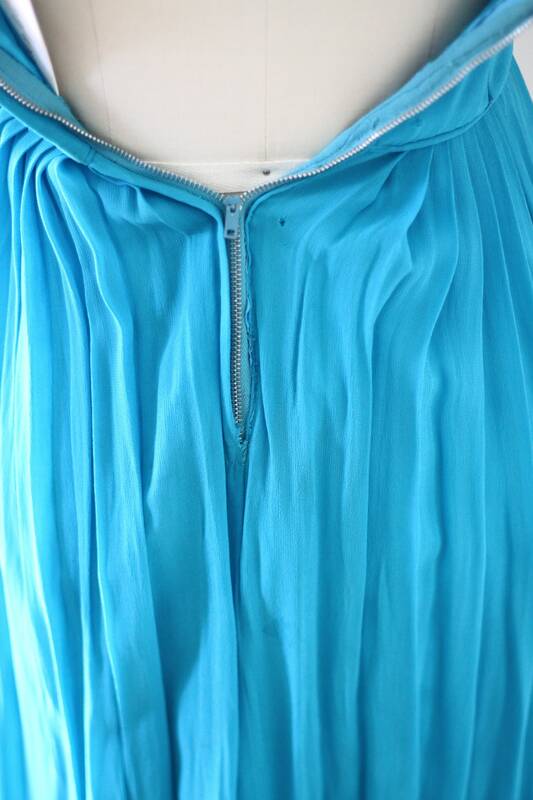 My favourite part of the dress is the ruching around the bust and bottom of the waistline.Zipper closure running up the back of the dress. 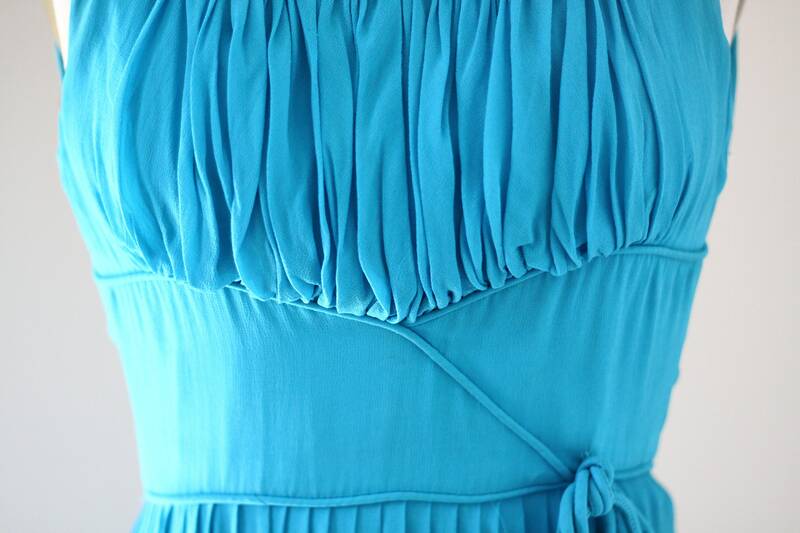 So many sweet details on this dress. 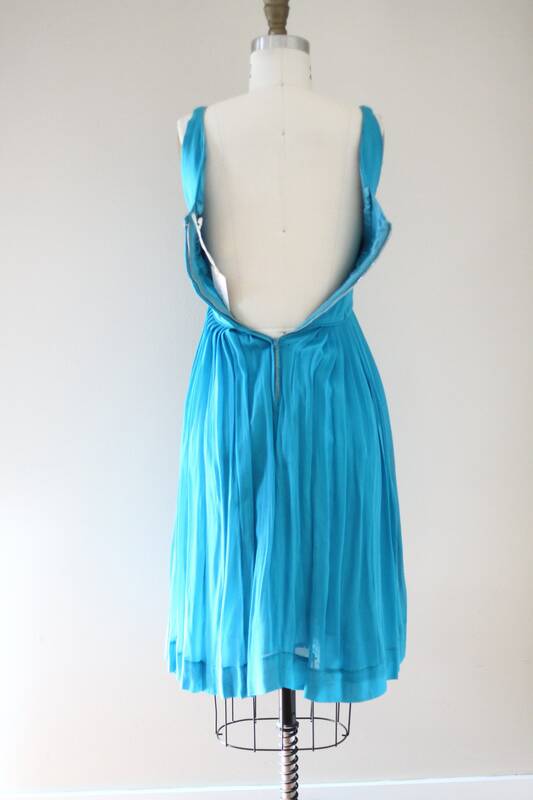 Please note the dress doesn't zip up all the way on the back of the dress form its not an open back dress.